Create a voice server on OrgPack's network and we'll deliver high-quality, fast voice communication. 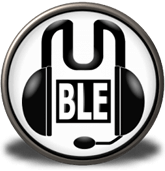 We offer Mumble and Teamspeak servers which are both highly configurable, low latency voice communication programs. Enjoy premium service with our competitive prices, full administrative control, and reliable service backed by our uptime guarantee. We have servers located in North America, Europe, Asia, and Australia. Choose from any of our top tier datacenters located in Atlanta, Chicago, Dallas, Los Angeles, Miami, New York, San Francisco, Seattle, Montreal, Amsterdam, London, Singapore, Tokyo, or Sydney. We're actively expanding our network so check back soon for additional locations near you. The power of open source at your fingertips. Why choose us for your voice server? We're committed to providing you with the best voice servers around. We offer instantaneous upgrades if you need additional slots, migration to new server locations, and custom hostnames to personalize your server. Experience full control with the ability to customize all aspects of your server and no forced advertisements. 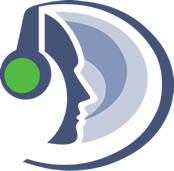 We understand the importance of keeping your voice server online. The reliability of your server is important to us so our infrastructure is backed by our uptime guarantee. The Internet moves fast and so do we. Get your voice server set up instantly so you can start organizing in a matter of minutes.